These BRS push connects works great. No leaks at all. No leaks, easy connect 2 hoses of equal size or hose to powerhead! I accidentally severed a long ro line and this repaired it. I was able to connect two pieces of line in second, and it doesn't leak! 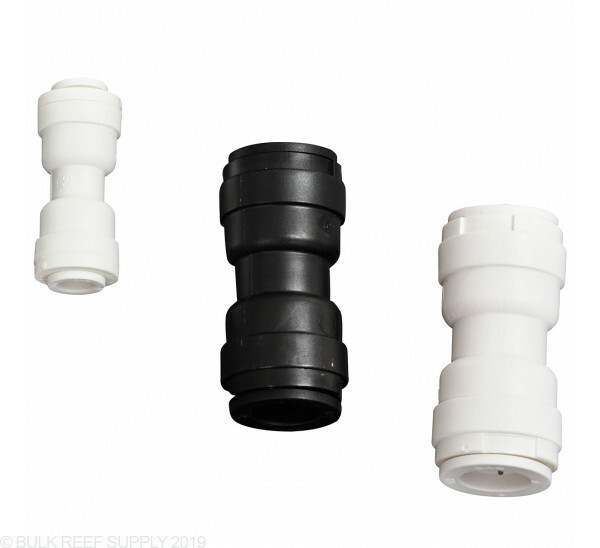 I just ordered on of these because every other brand leaks, Not Mur-Lock these fittings are Grand slammers! 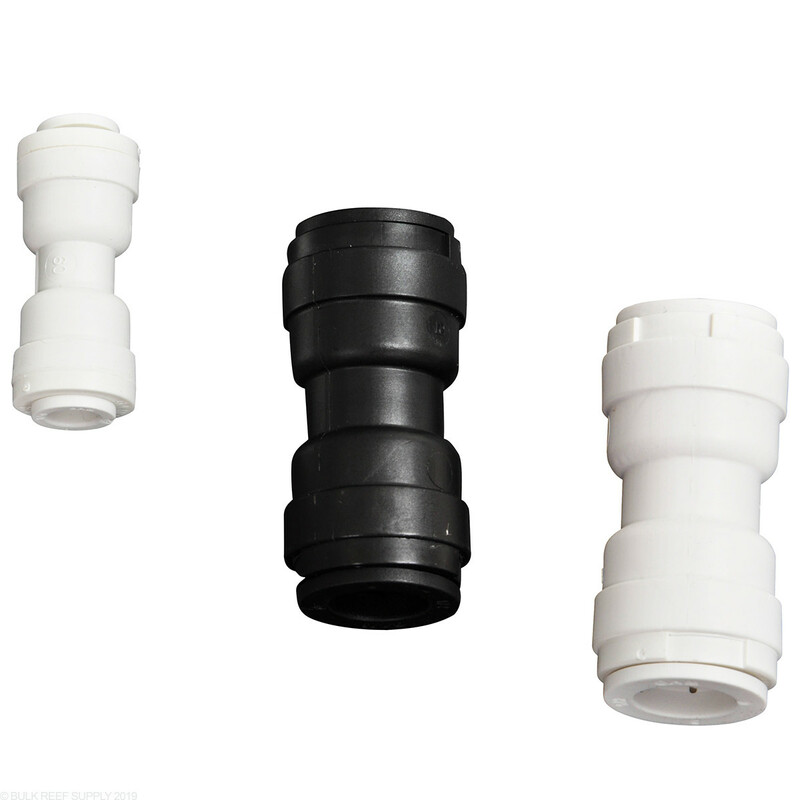 I cant believe how easy it is to modify your water lines with these push connects. No need to worry about leaks these are top notch! My new BRS RO/DI system was installed in my utility closet, my tanks are in the room near the closet. The blue output tubing from the RO/DI was a few feet short to reach my mixing barrel. One of these and a few more feet of blue tubing topped off with a valve at the end to stop the water flow when I need to and I am good to go. These fittings slide right onto a cleanly cut tubing end - end of story. Water tight and no tools needed - what could be easier. These are the answer for anyone with two or more pieces of tubing that are just a little short for your needs. I got a handful of these and as my setup changes I just grab one of these to extend a line that needs to be a little longer. Using Murlok fittings is so easy, it feels like you got away with something you shouldn’t have. These Murlock fittings are one of those things you wish you had discovered years ago. I'm use to the threaded copper and plastic fittings you have to put on, turn the water on and then see where the leaks are and hope tightening then up will work. These are sooooo easy. Just slip the tubing and you are done. Ironically they are easy to take apart to. You just hold your nail on the sleeve at the fitting and pull the tubing. If you just pull the tubing, it says in the fitting and sleeve will move back just a hair but not let go. I need to order Mur-Lok clips as they do not come with the fittings as I expected. Yet I see no such items on your web site. 1/4 inch and 1/2 inch Mur-Lock clips, where are they?